On June 3, 2016, archivist Michael Andrec picked up the first group of audio recordings donated by Mr. Stefan Maksymjuk of Silver Spring, Maryland. Mr. Maksymjuk has been a passionate collector of historical phonograph records, as well as the creator of hundreds of his own recordings which document events in the Ukrainian communities of Washington, D.C. and elsewhere on the U.S. east coast. The materials obtained by the Center's archives include approximately 300 reel-to-reel tapes and over 800 cassettes, which include recordings of concerts, lectures, conferences, and other events; interviews with major Ukrainian American political and cultural figures; and interviews and speeches by Ukrainian dissidents of the late Soviet period. Many of these recordings are likely one of a kind, have never been reproduced or published, and provide a unique window into the sounds of Ukrainian American life from the 1960s to the 1980s. 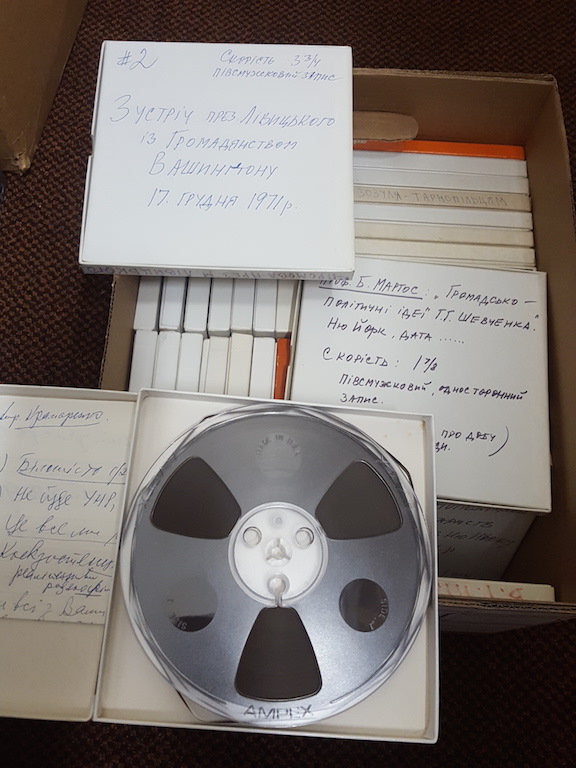 This donation further establishes the Center as one of the premiere archival institutions for Ukrainian recorded sound outside of Ukraine, and the staff is prioritizing the digitization of these recordings in order to preserve them and to make them accessible online. We thank Mr. Maksymjuk for this important donation, and look forward to the arrival of more materials from his vast collection!